This Child Astronaut Jumpsuit will have your child ready to take flight. Your little space traveler will love dressing up in this top quality astronaut costume for Halloween. Its official look and feel make it seem like the real thing! This astronaut suit features official NASA patches, including special commander patch and official embroidered NASA cap. 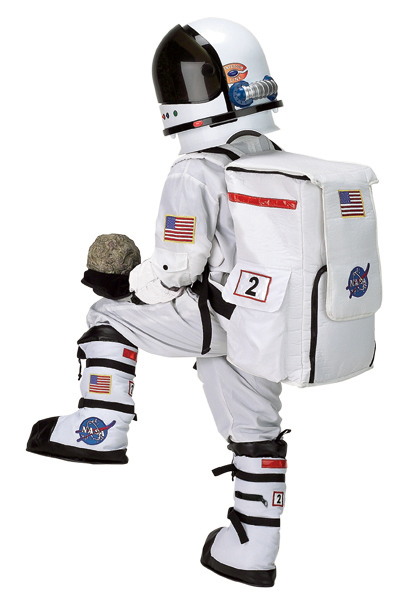 Dress up as Neil Armstrong in this spacesuit that will take your imagination to the moon and back! Costume includes jumpsuit and cap only (astronaut helmet and accessories sold separately). Availability: This Child Astronaut Jumpsuit takes approximately 1 business day to leave the warehouse plus transit time.